Check out these amazing pictures of the unearthing of the largest Saxon silver coin hoard ever found. 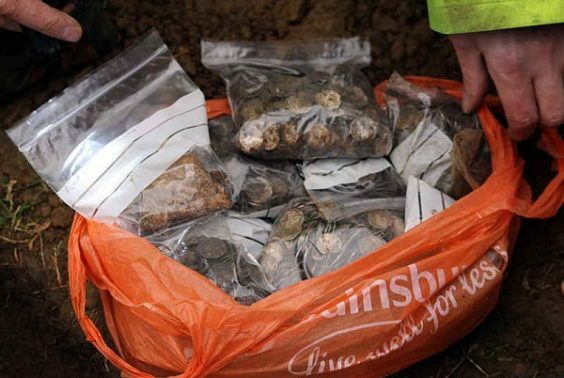 The hoard of more than 5,000 nearly perfect silver coins were discovered in the Buckinghamshire village of Lenborough, near Padbury, on December 21, 2014 at a metal detecting rally that took place with the permission of the landowner. They were found wrapped in a lead sheet and depict the heads of kings Ethelred the Unready and Canute and come from 40 different mints around England. A final valuation has yet to be completed, but it is thought the coins could be worth up to £1.3m.